While they may not be the most glamorous part of your home’s exterior, gutters are essential for protecting your house all the way down to its foundation. At V. Nanfito Roofing & Siding, we have a wide variety of gutters and gutter guards to channel water away from your home so it can’t do any damage. 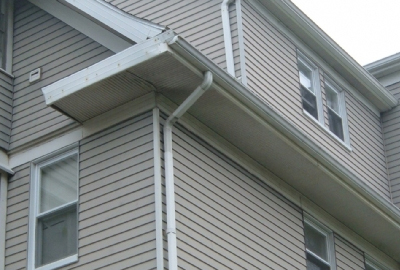 Our gutter systems are reliable and durable without affecting your visual curb appeal. Gutters are metal structures that fit around the edge of your roof and catch water during rain or snow melt. The gutters channel water away from the house and into drainage or storage. Without gutters, water may wear down the shingles and cause leaks. In a worse-case scenario, water can also penetrate the walls and even seep into the foundation and destabilize the building. Though they are small, simple structures, gutters are indispensable in regions where there is heavy precipitation throughout the year. We have a large section of gutters, all of which are durable and resistant to rust or corrosion. Our gutters are as visually appealing and functional as we can make them. Gutter guards keep leaves, twigs and other debris from getting caught in your gutters. Objects like these can clog the gutter and cause improper drainage. When gutters become overloaded with debris and water, they can break away from the house or collapse. Our gutter guards fit right on top of the gutter so leaves and dirt stays out. They allow water to flow freely into the gutter while repelling debris that might cause a blockage. They fit most sizes and styles of gutter and keep your house safe, while greatly reducing the amount of gutter cleaning you have to do. 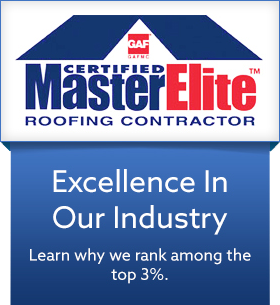 If you are in the market for new gutters or gutter guards, give us a call at (203) 639-1634 for an estimate. You can also fill out our request form for more information.